Posted on June 23, 2016 at 3:14 pm. A SOUTH Australian town, used as a testing ground for a cashless welfare card, is showing a significant reduction in poker machine use. 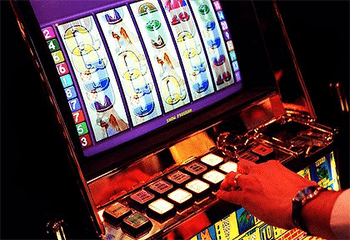 Ceduna, located on the West Coast of the Eyre Peninsula, is undertaking a 12-month trial and the first lot of reported figures are showing pokies play has dropped by over 33% since the introduction of the card. It is estimated that over $5000 a week is not being gambled away, which on a annual basis will stop close to half a million dollars from being put through a pokie machine. The initial reports are also indicating a rise in food consumption and a dive in problem behaviour. The trial started in April and the South Australian government is hopeful it has found a winning plan to combat problem gambling in remote communities. “It is early days but these results are very encouraging and if these results continue then we may well have found a model which breaks the serious dysfunction which characterises so many remote ­locations,” The Federal Minister for Human Services Alan Tudge told The Australian. A second trial is running concurrently in the East Kimberley region in Western Australia. The scheme is tentatively called the Healthy Welfare card. Ceduna is 790km northwest of Adelaide. The government is pumping about $800,000 into the scheme per fortnight. Businesses not in gambling are reporting an increase in trade. If the government does this right it has the potential to greatly improve the lives of many underprivileged people in remote areas. Many of these areas have high unemployment and lack the proper resources to support problem gamblers. The Healthy Welfare Card ensures money is spent on the right things. For instance many people on welfare have children. The money they receive needs to be spent on food and clothing and the essentials rather than pokies. The way forward is to finish the 12-month trial and then reassess. If the results continue on the same trajectory, rolling the card out in other areas is a no-brainer. The cashless cards cannot be used at online casinos, restricting South Australians on the cashless welfare card from playing at real money casino sites. If you’re curious to know more about online casinos, players from United States can give games a go at Raging Bull Casino for real money or free play.